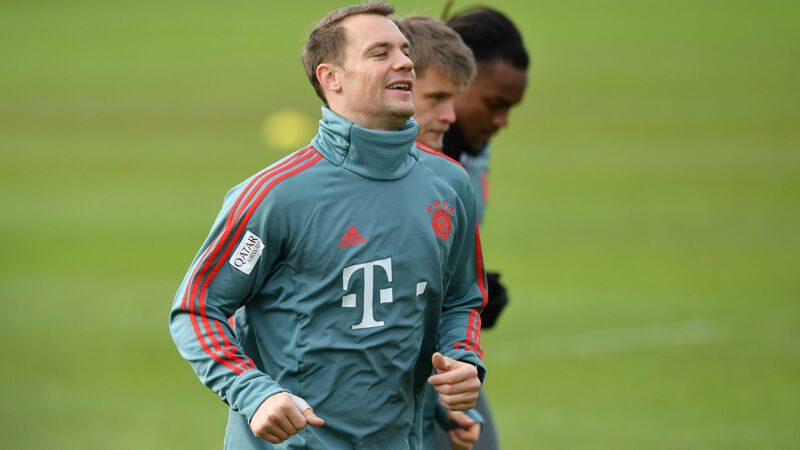 Manuel Neuer is back in contention to feature for Bayern Munich in Friday's Bundesliga match against Augsburg following a thumb injury, coach Niko Kovac has confirmed. Goalkeeper Neuer sustained the problem in a training session and has had to miss three matches, and there were concerns the issue might have forced him to miss the first leg of Bayern's Champions League last-16 clash with Liverpool next Tuesday too. "Manuel has not had any complaints, so he's an option for Friday's game again," Kovac confirmed. "Manuel is an ambitious goalkeeper, and those who have achieved so much must have a special ambition, and when you get there you have to do more than anyone else. "So, the situation is not new to him. For the games he did not play, his only choice was his own decision. The player always has the last word and in this case Manuel is ready." Sven Ulreich has deputised in Bayern's last three games, just like he did for much of last season when Neuer was absent with a broken foot. "If you're Bayern's second goalkeeper, then it's relatively easy to understand: you have to be ready for anything," Kovac said. "That's the second goalkeeper's job. "Sven always has to be ready, just in case. He needs to stay on top of his game and he's proved in his time at Bayern that he's always there when we need him." "We have no reason to rest anyone in Augsburg," he said. "We have enough time to regenerate ourselves. "We do not want to underestimate the game, because this will allow us to get really up and running in the Bundesliga."